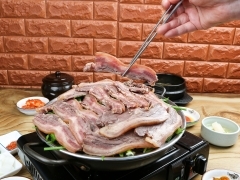 초계탕을 주문하면 물김치, 메밀전, 닭무침, 닭날개, 초계탕, 메밀면사리, 비빔면까지 먹을 수 있다. 살얼음이 동동 떠있는 물김치는 보기만 해도 시원해지고, 아삭아삭한 배추의 식감이 입맛을 돋운다. 양상추와 닭고기가 푸짐하게 들어간 초계탕에 메밀면사리 넣어 먹으면 더욱 맛있게 즐길 수 있다. 능이백숙, 싱싱한 전복과 키조개, 문어가 푸짐하게 들어간 능이해신탕도 여름철 특별 보양식으로 인기가 많다. 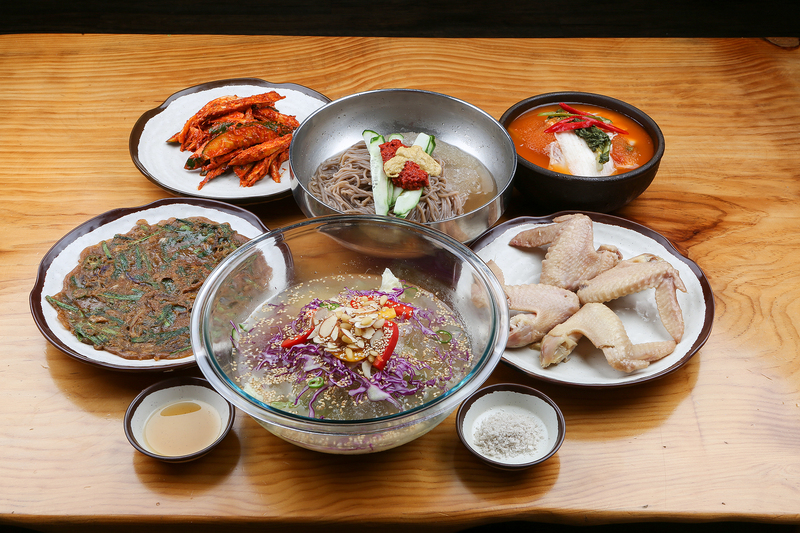 If you order ice chicken noodle soup with vinegar, you can eat water kimchi, buckwheat pancake, seasoned chicken, chicken wings, extra order of buckwheat noodles, spicy noodles with it. Water kimchi that thin ice floats on the water makes you cool even though you just look at it. And Chinese cabbage's crispy texture stimulates your appetite. You can enjoy more delicious food by putting extra order of Buckwheat Noodles in ice chicken noodle soup with vinegar including a lot of lettuce and chicken. 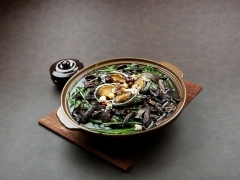 Whole chicken soup with rice and black tiger's paw mushrooms and chicken and seafood soup with a lot of fresh black tiger's paw mushrooms, abalone, pen shells, and octopus are very popular as special health food for the summer season. 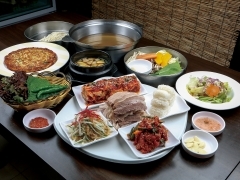 Copyright© 2016 Food Doksanseong Culture Street. All rights reserved.